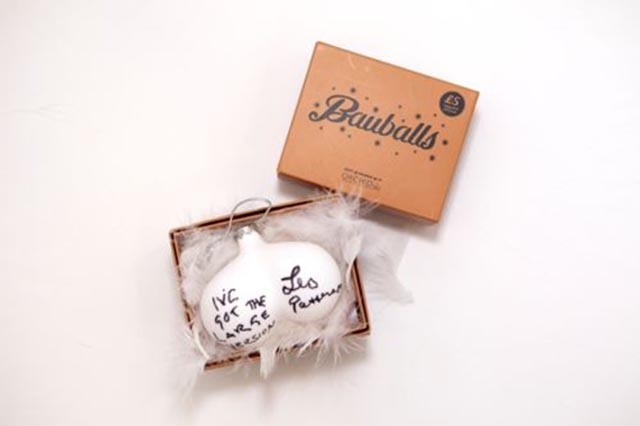 Men’s cancer charity Orchid recently partnered with London advertising agency Fallon to launch a second year in the “Check Your Bauballs” campaign. Online at checkyourbauballs.com, the campaign uses testicle shaped Christmas tree decorations to encourage men to test themselves for signs of testicular cancer. 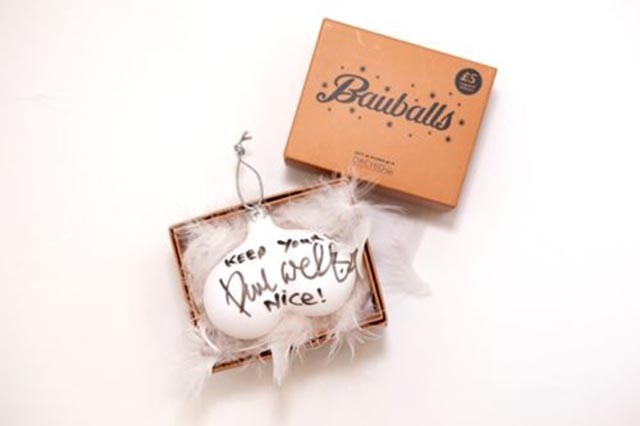 A sell-out hit in 2012, the Baubells went on sale through House of Fraser outlets in the UK. The project was promoted with an eBay auction of bespoke Bauballs signed by celebrities including Rolling Stones members Ronnie Wood and Mick Taylor, cast of The Only Way is Essex, Paul Weller, cast of Hollyoaks, Mistajam, Jamie Oliver, Gennaro Contaldo, Lily Cole, Danny Dyer, Harry Hill, Ben Cohen, H from Steps, Chris Barrie, Rizzle Kicks, Gary Neville, Michelle Collins and Les Patterson (Barry Humphries). 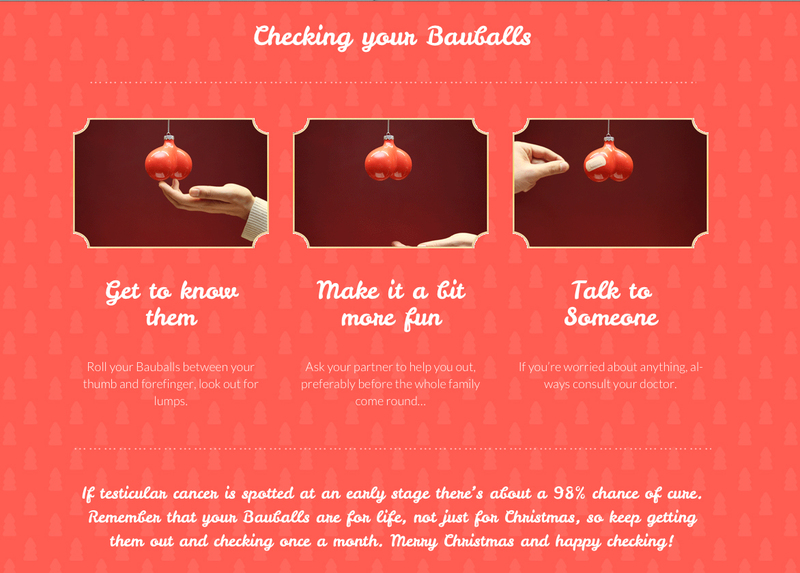 Despite the Baubells selling out again, the message remains: if testicular cancer is spotted at an early stage, there is a 98% chance of cure.